Human beings have been telling stories since the dawn of our ability to communicate through spoken words, and even before that if you consider petroglyphs and pictographs. When it comes to business, many companies and marketing professionals tend to forget this fact, and push for more data, less story and above all, dry PowerPoint presentations with lackluster pie charts. But recent research suggests that storytelling isn’t just an interesting habit we have developed over time, it’s actually the ultimate marketing tool for businesses in every industry. You’ve probably heard before that storytelling is a great way to sell a product or persuade during a business deal. 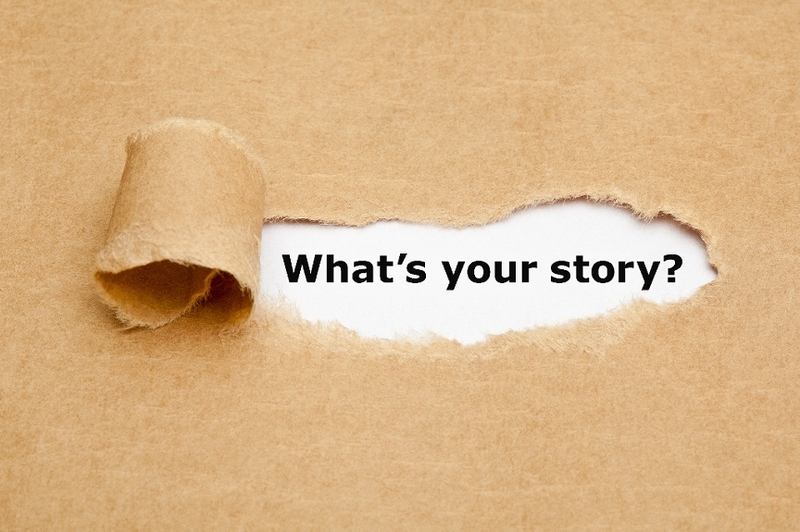 Chances are you’ve heard stories about why storytelling is so compelling in the marketing world, and you’ve seen it first hand in native advertising, well-branded websites and captivating blog articles. Well, it’s no longer just a good story. Psychology is giving us scientific evidence that shows our emotions, hopes, fears, morals and beliefs are strongly influenced by the power of stories. Interestingly enough, fiction seems to be a better fit for changing people’s minds than persuasive writing that is meant to convince through argument and evidence. So, how did this come about? And should we as marketers really forsake our spreadsheets for stories? Data will always have its place in the business world, but storytelling is every brand’s most powerful marketing tool – period. Why is it that fiction is better at changing minds than anything else? In a world where we are relentlessly data driven, results-oriented, key performance indicator-tracking and split tested every step of the way, what is it about stories that push our minds to forget logic and focus on the imagination? It all comes down to human nature. Psychologists who’ve done recent research on the subject report that imagining a fictional world within a story (as we often can’t help but do when we are told a story) changes the way the information being delivered is processed. The more the listeners or readers become wrapped up in a story, the more the story changes how they feel, and potentially what they think. In addition, those who become very absorbed in a story tend to find less fault with it, despite discrepancies or mistakes. Furthermore, it’s not just that people become so wrapped up in given stories that they don’t mind the mistakes, on the contrary: mistakes don’t seem to register in the first place. The most crucial insight here is that when we are exposed to stories, we let our guards down, we forget about the little details and we focus on the big picture – how the story makes us feel. We don’t need logic to feel our feelings and that seems to be the key to crafting the winning tale. That is exactly why stories are so powerful: they force us to forget the numbers despite ourselves and encourage us to return to our basic, natural existence as emotional creatures, or as Jonathon Gotschall puts it, “storytelling animals”. We’ve talked about the power of stories and storytelling, but how exactly do we spin that within our branded content and marketing collateral? Good question. There are many ways to boost your marketing through storytelling, and below you’ll find a list that shows you where to start. Develop your brand voice if you haven’t already done so. You’ll have a very hard time telling a story or getting a good response from your brand’s story without a unified and unique voice behind it doing the talking and writing. That doesn’t mean it’s up to one person to tell all the stories, but rather, your company needs a coherent way to tell them. Cut through the clutter of dry subjects and marketing fluff with honest and authentic storytelling. Instead of trying to be formal and align your brand voice with other, more lackluster corporations, infuse your brand’s story with life and stand out by being different. Be descriptive and helpful to your customers instead of focusing on the sale. Great storytelling shows readers that your company gets it. Instead of merely claiming to understand their problems, you’re applying real world examples so show the solutions you offer. Use multimedia to deliver the message. Think about the vastly different ways people absorb information, be it by reading, listening, or through visual aids like pictures and videos. Leave out any one of those, and you’re abandoning a significant portion of your potential target market when it comes to helping them understand your story. Stick to your content strategy and measure results. Even when you stay focused on storytelling, you still need a stellar content strategy to move forward with creating content. Measuring results allows you to see what works and what doesn’t. Once you’ve gotten your story out there, you can track the results to see how it performs on various channels and in different formats. Use this data to inform your ongoing content strategy and be ready to evolve your story based on what packs the most punch for the most viewers or readers. Just remember, if your brand’s story doesn’t start with “Once upon a time…” it might not be that compelling.